We had a capacity crowd in the student organizations room! 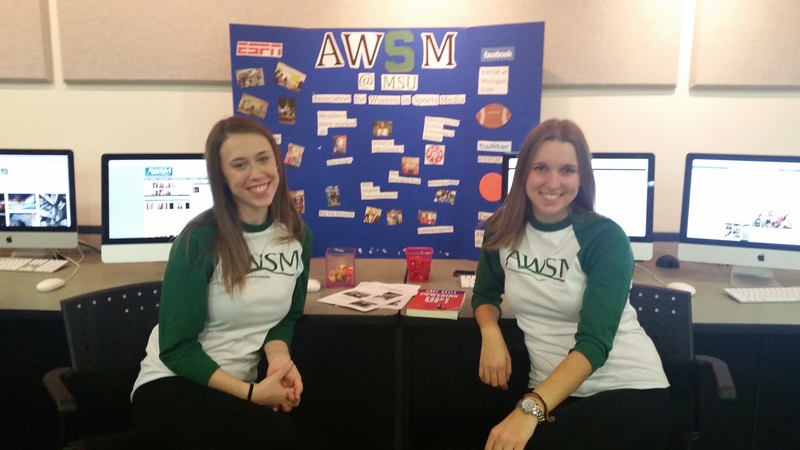 The ladies of AWSM@MSU are ready to go! 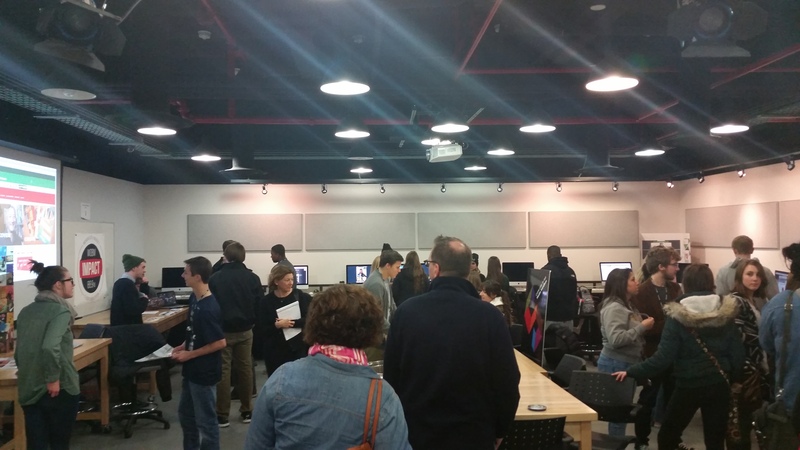 AWSM drew a crowd of HS students who wanted to know more about sports media. for representing beautifully. 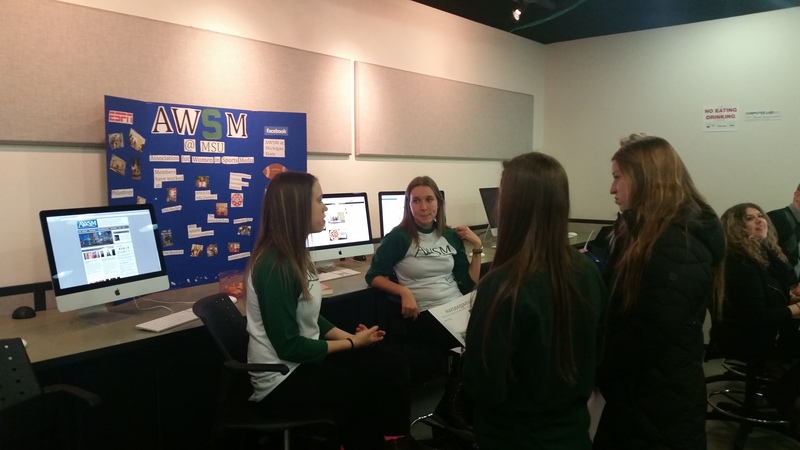 It was a great day, and we had fun showing off all the amazing stuff happening in the MSU Sports Journalism world!!! JRN 418 looking red carpet ready! 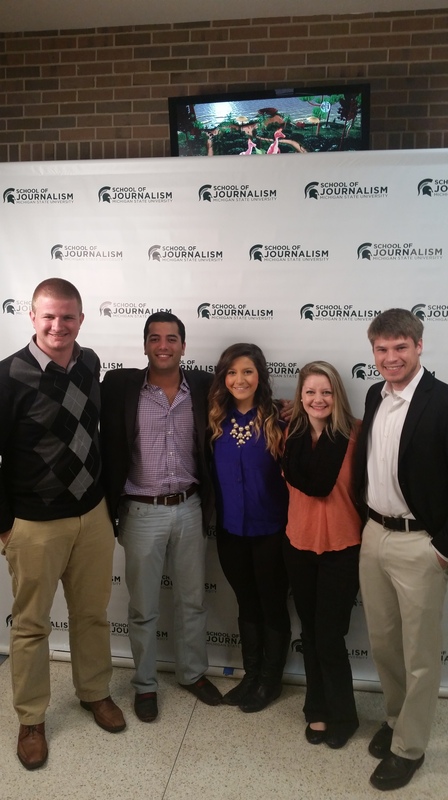 Previous Post WELCOME TO BIG TEN JOURNALISM DAY!